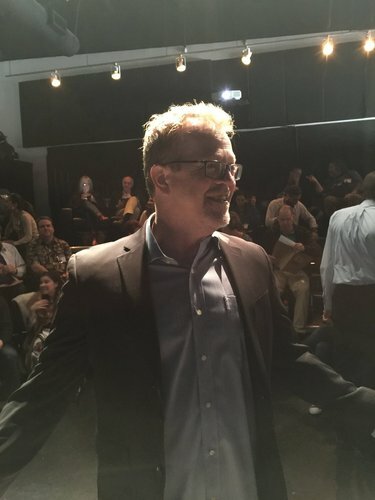 Scott Brick, one of the audiobook industry's most successful narrators, has taken his vast knowledge and tips for success directly to his audience with the launch of Scott Brick's Audiobook Insider Workshop Series. 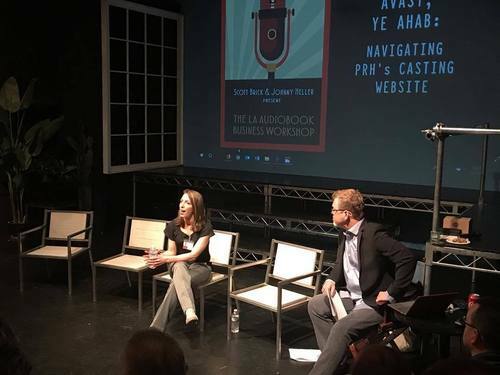 Offering an interactive, hands on experience, the Insider Workshop Series is designed to meet the in-studio class attendees at their current skill level while providing resources to propel them to the next rung on the career path. 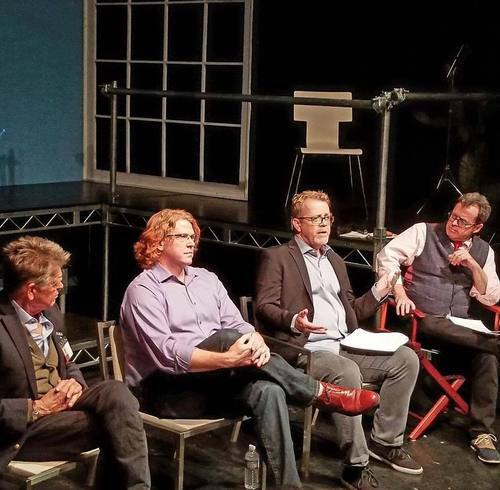 Can't get to Los Angeles to attend? 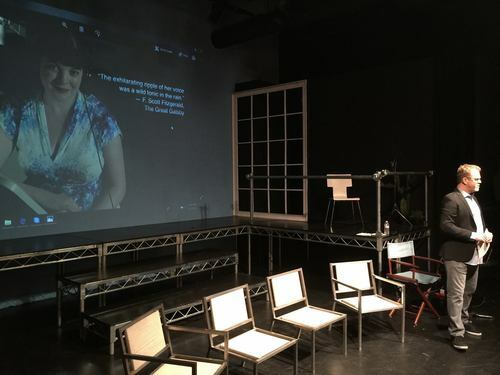 The series also offers live webinar participation and interaction with the in-studio students. Check out our webinars and private coaching sessions here. The information was terrific. The speakers top-notch. This fella knows what he's doing! And he's happy to share his knowledge with us! Aren't we lucky? Scott and Johnny opened a whole new world for me. A wonderful day spent learning about the audiobook industry from a business perspective. 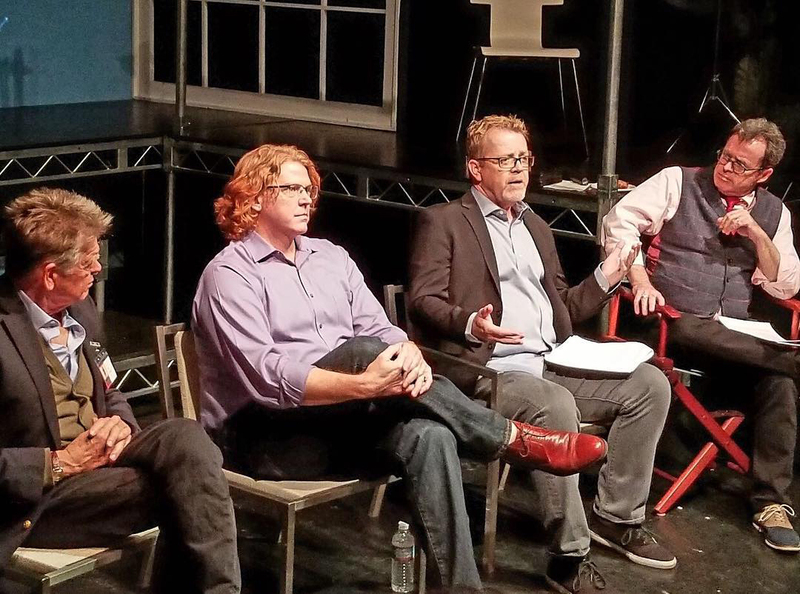 The panel included industry experts who were not only incredibly knowledgeable and professional but friendly and approachable as well. I gained insight and motivation that has helped me take the necessary steps to move my audiobook career closer to where I would like it to be. Many thanks to Scott Brick for presenting a wonderful workshop! The workshop was well-organized and provided a good variety of useful information. This was absolutely just as straightforward and as easy as you'd expect from a professional! 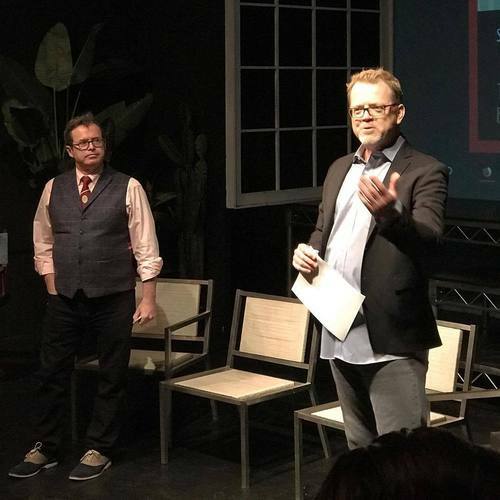 Scott Brick and Johnny Heller — two of the most sought-after audiobook narration coaches in the nation, with over 1500 titles between them—team up once again to bring you the most comprehensive business seminar in the country, tailored directly to the needs of the audiobook industry! 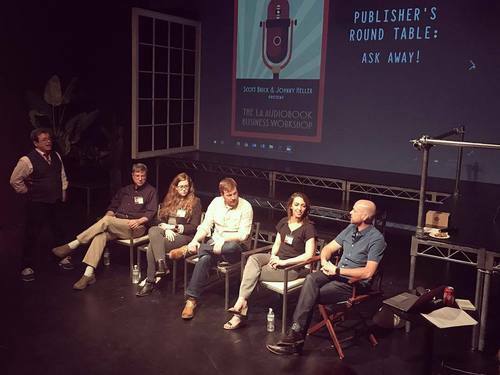 They and a dozen presenters—fellow narrators whose entrepreneurial approach has paved the way for others’ success, as well as representatives from several publishers and producers—will be on hand to answer your questions and up your game.